Arkansas’ Best Kept Secret – And Let’s Keep It That Way! You know I have a friend who lives in Arkansas and I was wondering if she had ever visited this little town with such an ‘interesting’ name? Because I understand that this little place is one of Arkansas’ best kept secrets. Really I ask you what were they thinking about when they named this town? 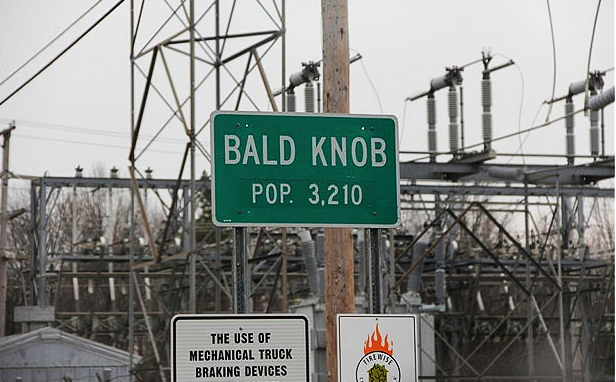 Even this innocent Cat knows what a Bald Knob is err… some kind of Native American Chief of course and it’s a shame that whoever named the town after the great Bald Knob didn’t know that it’s embarrassing for Native Americans (I believe they were called the Chickamauga Cherokee) to have towns named after them! 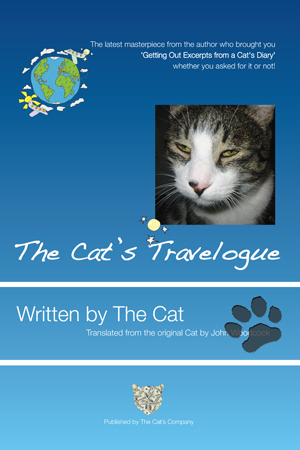 You can get my latest book in all of its glorious forms using this link that those nice people at Amazon.com gave me The Cat’s Travelogue Paperback Edition or here The Cat’s Travelogue ebook and just for you I have pasted a picture of the cover of my wonderful new book below so that you know what to look for. Or of course you can click your way to my www-wickedly wonderful website and buy as many copies as you like my store at www.thecatsdiary.com.